Super-sparkle manicures are right at your fingertips! 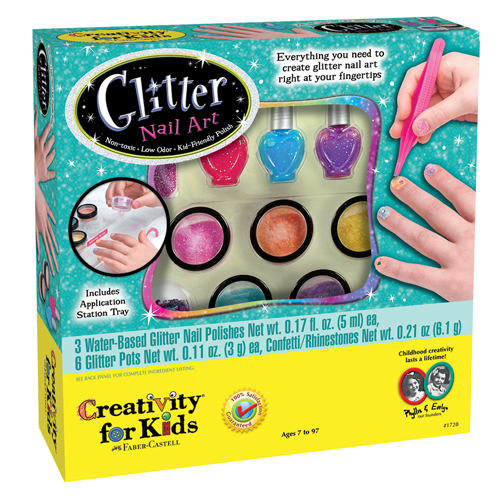 This nail art kit includes a unique glitter application station that minimizes the mess and maximizes the fun! 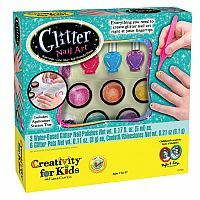 Also includes 6 pots of glitter, confetti and rhinestones, sparkling nail file, 3 bottles of glitter polish, tweezers, and manicure storage bag.